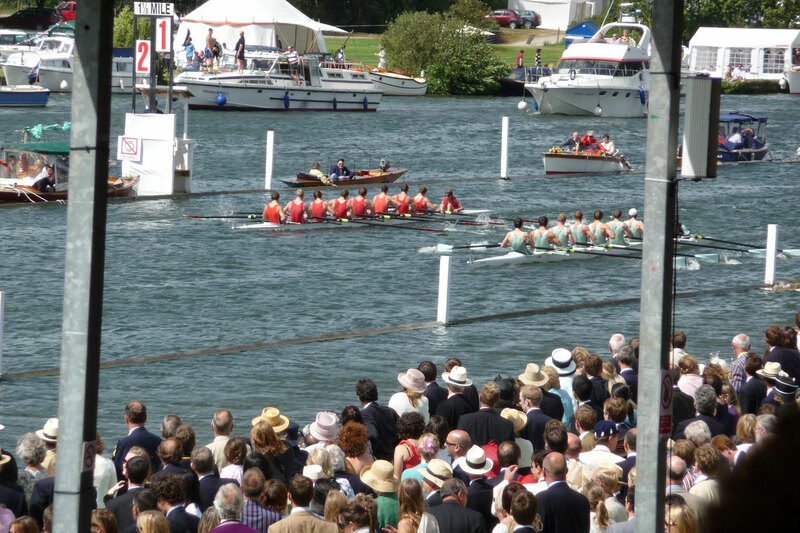 Even if you are not a rowing type you should, once in your lifetime, visit the Henley Royal Regatta. It’s a real happening! Last year I had the honor of attending this event on invitation. The invitation included access to all enclosures. Years earlier we had disappointed our friends enormously by arriving one day late for an earlier invitation, caused by too much last minute business. Only last year I understood that arriving one day late years earlier had been a very grave error on our side. It could have cost us our friendship. Off course this second invitation was extended very hesitantly and very early this time. In the UK and world race rowing world Henley Royal Regatta is comparable with events as last week’s Royal Ascot in Horse racing or in tennis sitting in Centre Court during “Wimbledon” with strawberries, whipped cream, hats and all. It’s all about seeing and being seen. The funny thing is you can watch every upper class Brit who once attended a boarding school or a university of some standing and had something to do with rowing walking around in his rowing club jacket. In itself the variety of all those colors and all those hats of the ladies are a spectacle in itself. My host in particular was very proud to walk around in a jacket that dated back to 1929 that a good relation had donated him shortly before. I was really amazed to see him so proud as a peacock walking around with this piece that belongs in a museum. 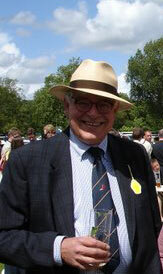 Henley Royal Regatta has a long history. You see race rowing here as it has been done for ages: Two crews competing against each other side by side. In modern race rowing you can hardly see what happens, because the courses are so wide as to accommodate 6 to 8 boats side by side. Here you can see it happening right under your nose. Even opposite the finish you can walk around freely. In addition to the races there is a real ongoing defilé of all sorts of little boats and punters. I have seldom seen a more idyllic scenery as in this part of the Thames Valley. The Thames is really narrow and shallow on this stretch and flows between idyllic hills. The stewards actually own large stretches of land including Temple Island, where the races start, just to keep it as it is. To keep the property developers away and to ensure that the main part of the race course is accessable by the public. You can attend it for free! You can pack your lunch packet and take some Pims, wine and/or beer with you and travel off. Although you may not be able to visit all enclosures that ask hefty fees or won’t admit you because you are not a member. There is plenty of public space around the race course that you can walk and have a picnic on. Only cars pay admittance fees for the car parks. You can see everybody picnicking in the car parks. 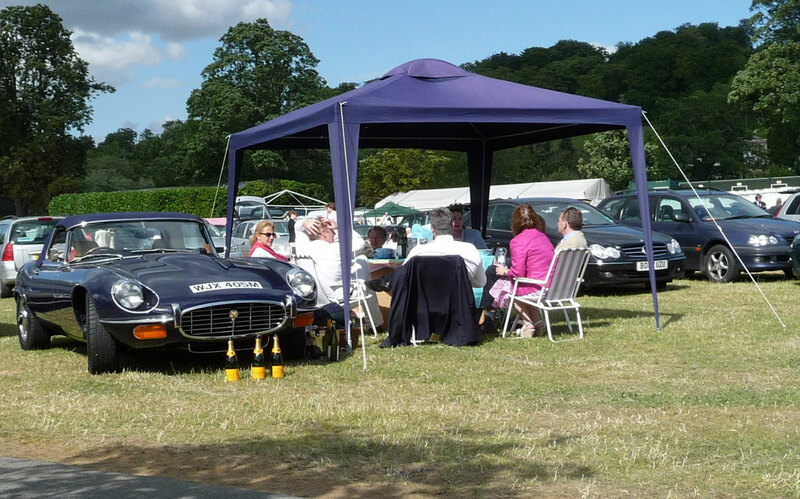 Even if you don’t like rowing and water at all you should take some picnic outfit and a cloth to sit on and marvel at the Aston Martins, the Jaguars, the Bentleys, and what not all unload their fully dressed owners, setting up their little pagode tents and spread out a full lunch under it. 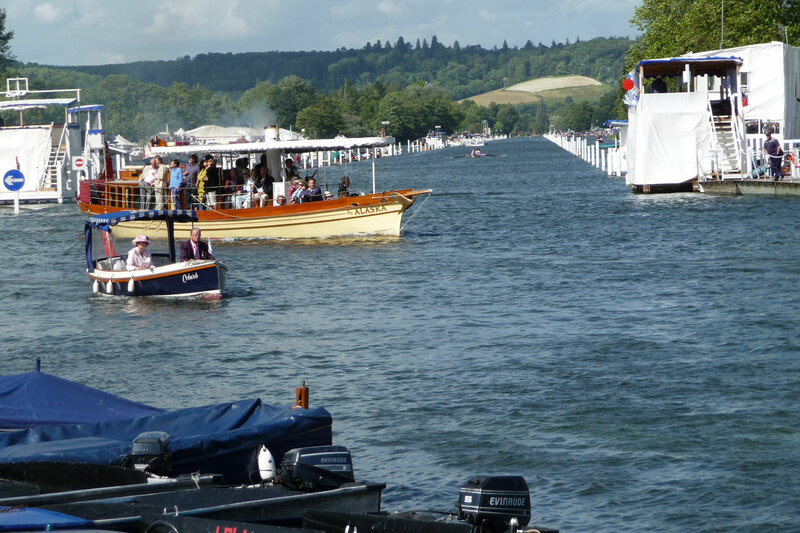 Guido – I totally agree with you – Henley is one of those quintessentially British events and if the weather is good the atmosphere is fantastic. One of the best experiences I had was when a friend of mine hired a boat so we saw the event form the water. Pretty snazzy photo of yourself Mr. Hotelier. Take care. Previous Previous post: Hotelier Ian Schrager into Chicago Ambassador East Hotel?